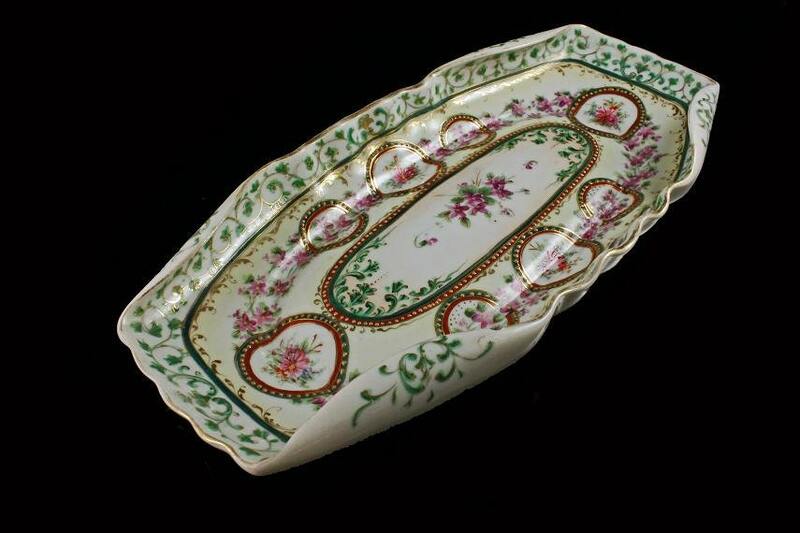 This is a lovely celery dish in a pink floral pattern with vines. Trimmed with gold. The maker is unknown. 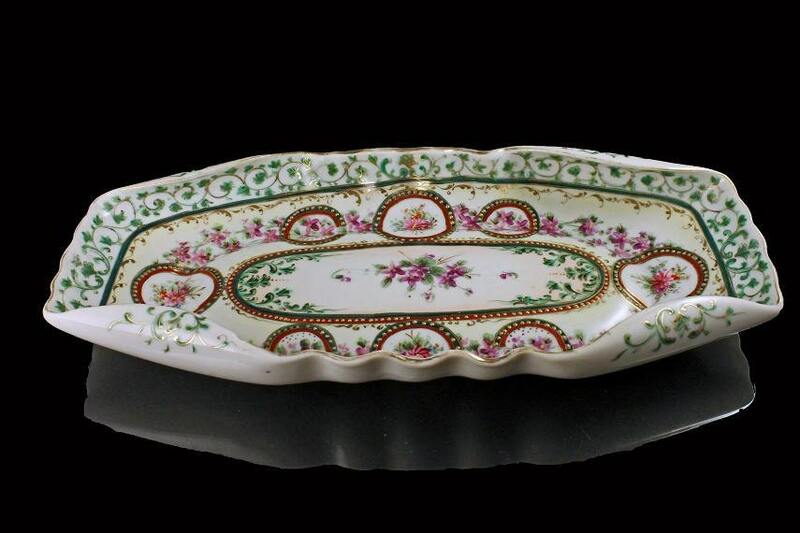 This is just a very lovely serving dish. 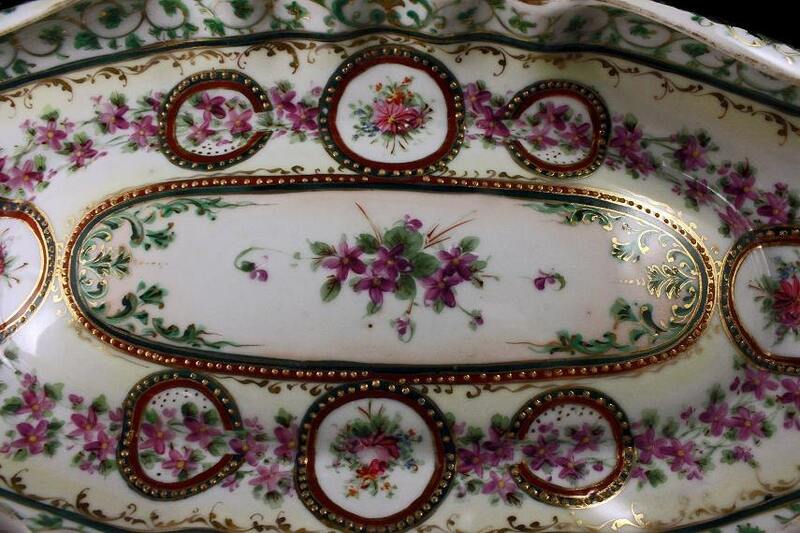 It would look fantastic on a table, sideboard, or buffet. Great for serving celery, candy, nuts, etc. A great collectible dish. 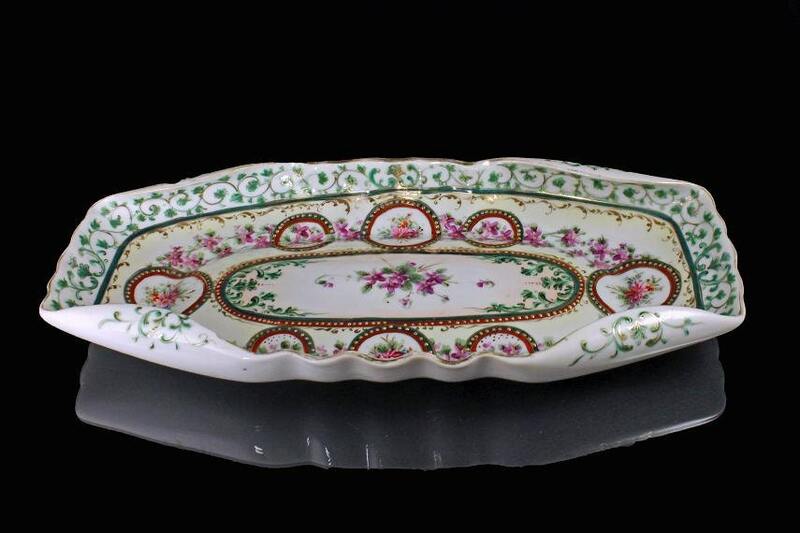 This is a vintage dish and the maker is unknown. It is in very good condition with one small chip on a corner fold. 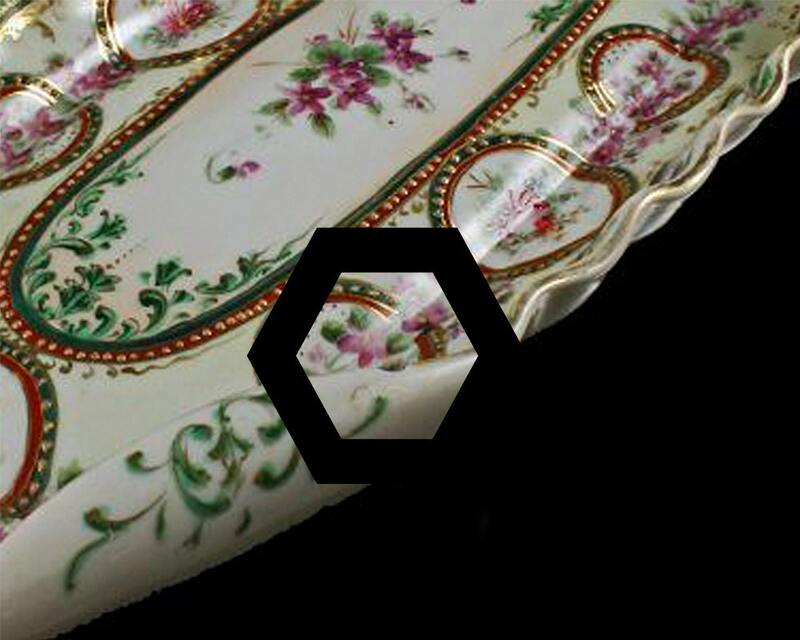 (See Photo #3) The gold on the rim is worn from years of love and use. Our price reflects these defects.